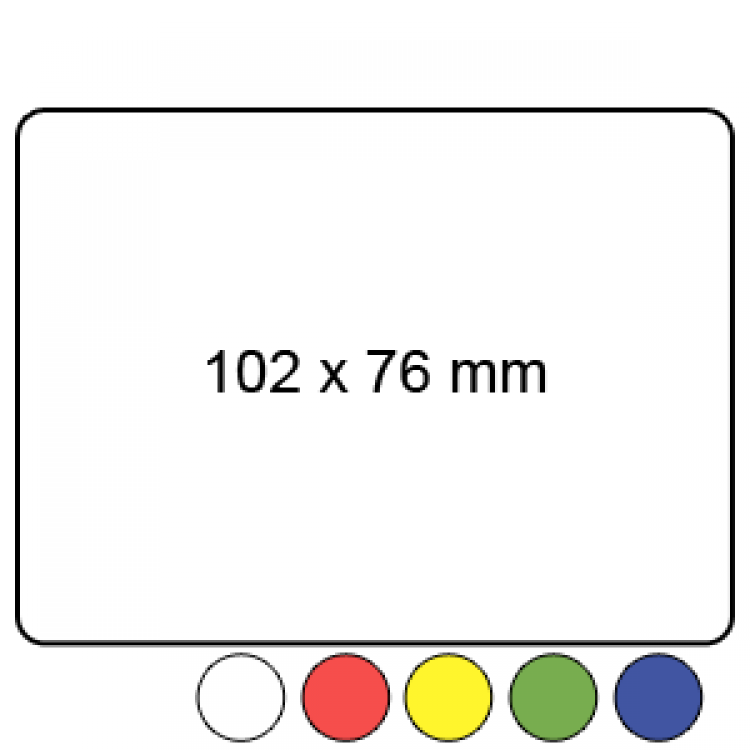 Dimensions: 102 x 76mm each label. Technical Specification: Permanent adhesive, wide edged for easy peeling, non-perforated. 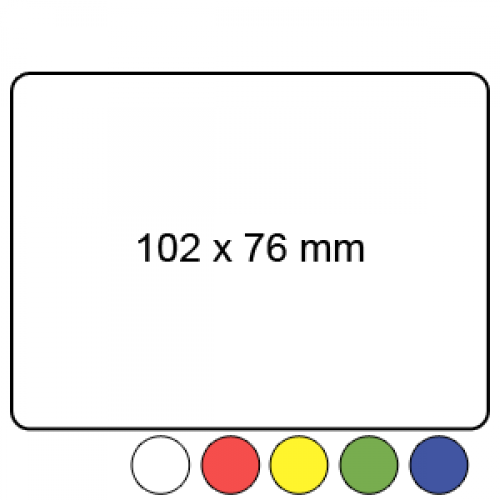 - Labels will be supplied on a standard core size. Any reel quantities and core sizes are possible (Usually at no extra cost! ), just contact us with your requirements. This is particularly useful when using these labels with thermal printers. - As always we offer competitive bulk discounts, and custom orders are welcome with custom printing/sized. - Custom printing and a range of materials, adhesives are colours are available on request.